Equinix recently announced plans for several new data center projects, including new facilities in London and Melbourne. The company's new London structure will be its third at the Slough campus, and the Australia data center will the be its first in Victoria, according to DatacenterDynamics. The company decided to boost its service footprint with another data center in London to provide added options for financial service clients that require alternatives to other facilities in the area. Equinix UK MD Russell Poolse said the organization has set aside $79 million in investment capital to fund the London facility construction. DatacenterDynamics reported that once completed, the data center will feature 8,000 square meters, or more than 86,100 square feet, of space which has the capacity to house up to 2,770 cabinets. The new Melbourne facility, called ME1, will consist of a 105,000 square foot structure designed to support 1,500 cabinets. Equinix said it plans to have the $60 million data center online by the fourth quarter of this year. The organization will utilize a phased rollout of services, the first of which will include 375 cabinets targeting the growing software industry in Australia. This will be the company's fourth data center in the country, and software developers will have access Equinix's range of resources and opportunities to connect with other organizations as well. "We continue to see a surge in demand for data center and interconnection services in the Asia Pacific region and the addition of ME1 will aid enterprises looking to gain proximity to customers and partners and to improve application performance for employees and end-users in Australia," Equinix Australia MD Tony Simonsen told DatacenterDynamics. 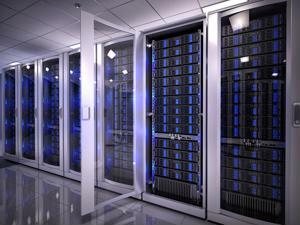 The company plans to employ different data center cooling arrangements in its new facilities. The source reported that the London structure will feature an innovative mass air-cooling system that includes indirect heat exchange and 100 percent natural ventilation. Evaporative cooling technology will be utilized within the Melbourne data center to remove excess heat created by IT equipment. In both cases, however, the company hopes the systems will provide proper resources for achieving Leadership in Energy and Environmental Design certification. In addition, the systems will also lower energy consumption at the facilities and reduce their carbon footprint. Another way to lower power usage is by implementing temperature monitoring technology to oversee the server room temperature. This technology can allow operators to improve their power usage effectiveness rating by running the cooling system at a higher temperature without worrying about conditions rising to dangerous levels when they are not around. With temperature monitoring arrangements in place, IT equipment is properly supervised and overheating can be prevented.